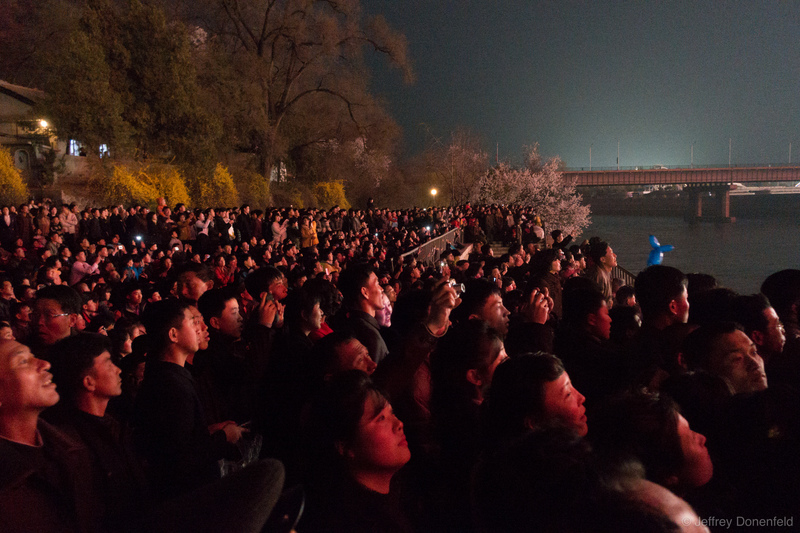 To finish the celebration of Kim Il Sung's birthday, Pyongyang was treated to an amazing fireworks display over the river. I walked through the darkness with my group to the viewing location along the river. On my way back, I was surprised to find that there were almost no streetlights at all - the only illumination at night was for the monuments, and almost none of the public walkways had any lights on. To finish the celebration of Kim Il Sung’s birthday, Pyongyang was treated to an amazing fireworks display over the river. I walked through the darkness with my group to the viewing location along the river. On my way back, I was surprised to find that there were almost no streetlights at all – the only illumination at night was for the monuments, and almost none of the public walkways had any lights on.